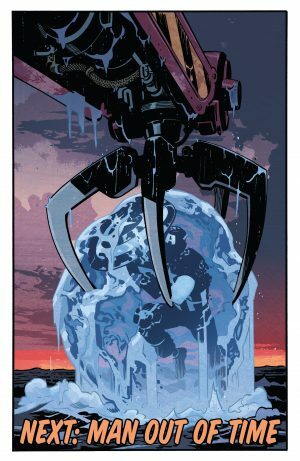 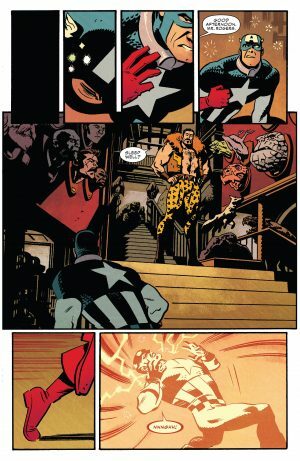 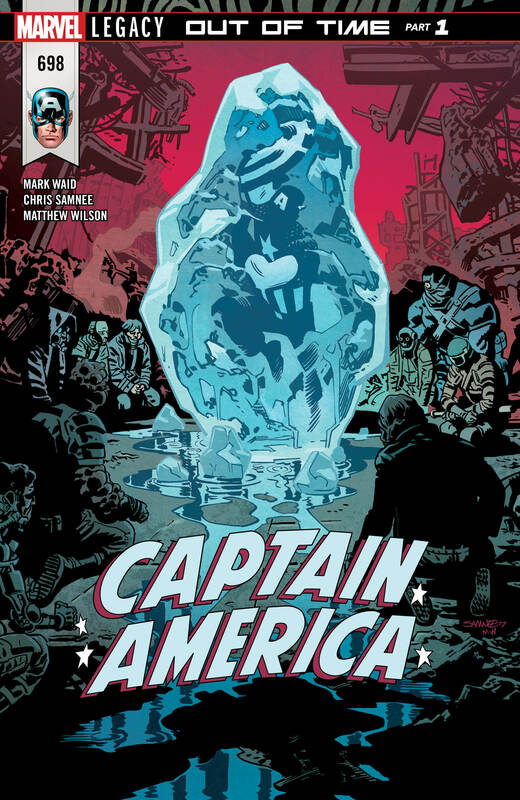 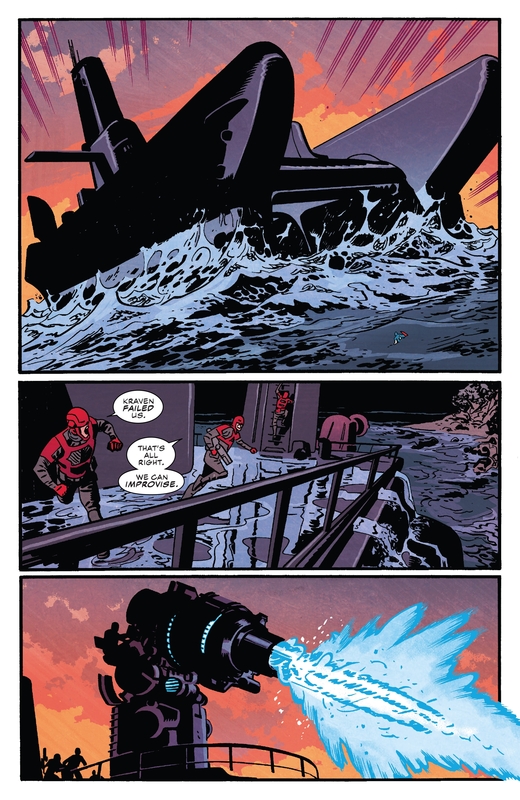 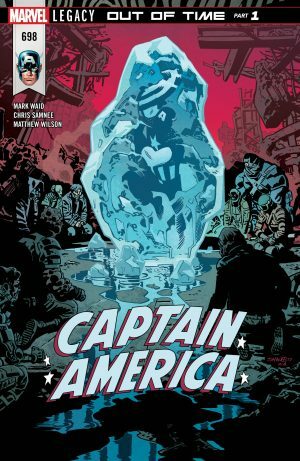 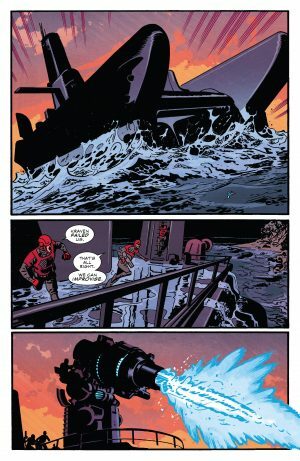 Marvel Comics Legacy & Captain America #697 Spoilers follow. Kraven The Hunter Vs. Captain America, But Who Hired The Typical Amazing Spider-Man Foe? 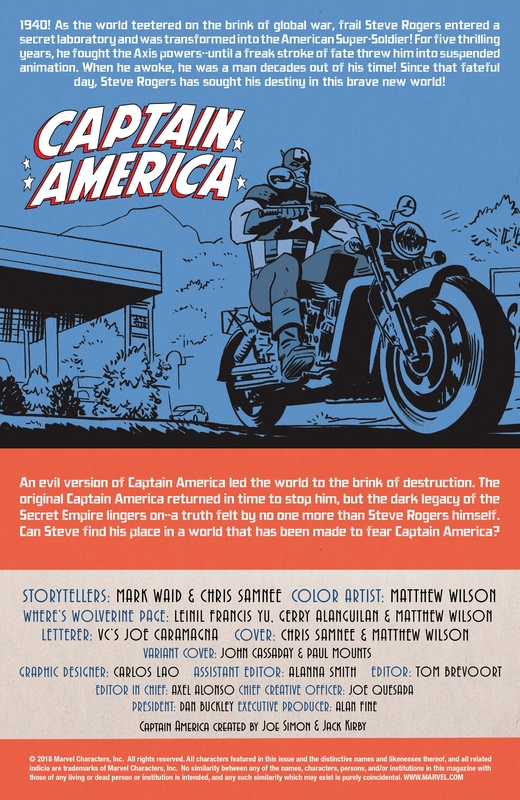 The book opens with the usual story catch-up and creators’ credits page. 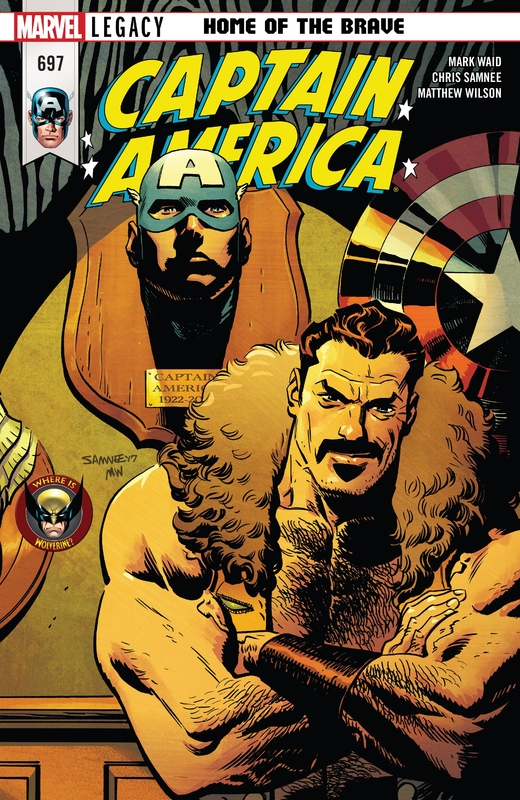 Kraven wants to hunt to Captain America. So, he kidnaps Captain America Steve Rogers from a bar he was playing pool at. 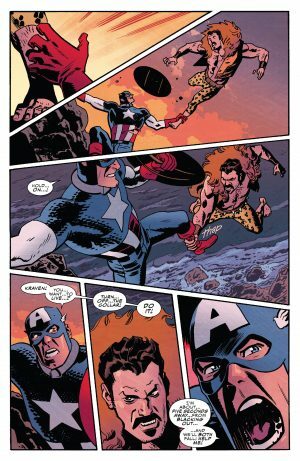 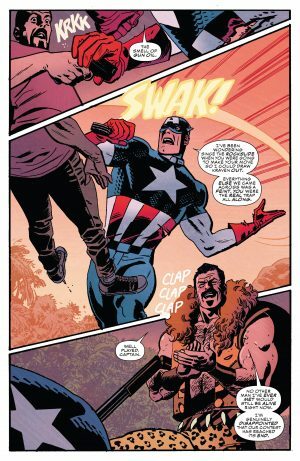 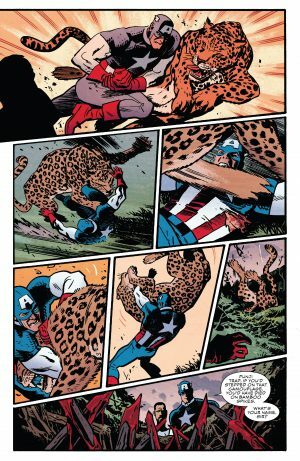 Kraven knows that Captain America doesn’t fear him, but he knows Cap fears for the life of an innocent that Kraven has set directly in the path of a wild animal. …it turns out the real trap was the presumed innocent who was in Kraven’s employ! Cap knew and disarms him setting up a one-on-one with Kraven. 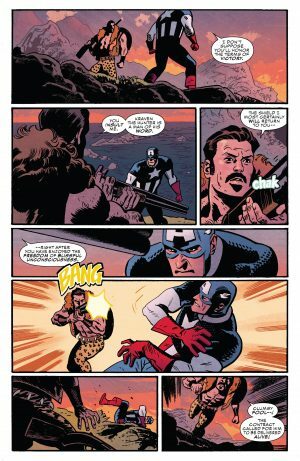 Cap wants his shield back, but Kraven has other plans. 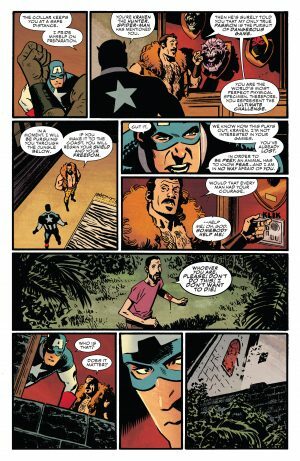 His shot to put Cap to sleep misses and blurts out his contract was for Captain America to be captured alive. Kraven falls over the cliff as Cap was feigning; Cap tells Kraven to release him from his stun collar so he can save Kraven. 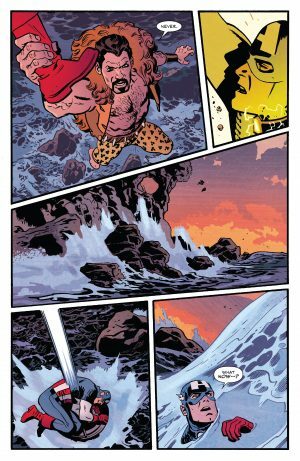 The Hunter refuses and falls into the ocean. 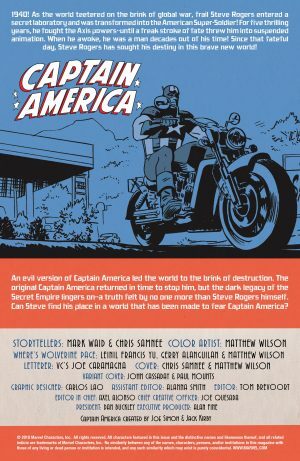 Similar to what happened to Captain America in the Golden Age before he was found by the Avengers in the Silver Age.